The President of the United States, our Commander-in-Chief, has just announced the final and complete surrender of the Japanese people, government and armed forces. The war is officially ended. This is an hour of triumph, of pride in the great accomplishments of our arms, and joy that the bloody war which has taken so many of our comrades can claim no more. 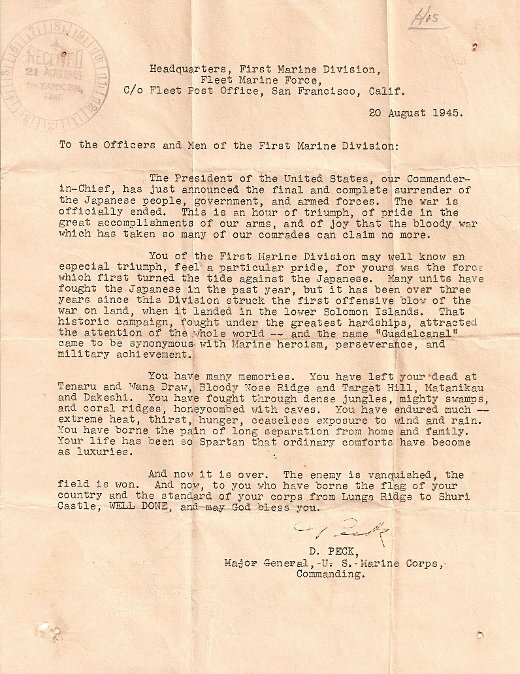 You of the First Marine Division may well know an especial triumph, feel a particular pride for yours was the force which first turned the tide against the Japanese. Many units have fought the Japanese in the past year, but it has been over three years since this Division struck the first offensive blow of the war on land, when it landed in the lower Solomon Islands. That historic campaign, fought under the greatest hardships, attracted the attention of the whole world- and the name Guadalcanal came to be synonymous with Marine heroism, perserverance and military achievement. 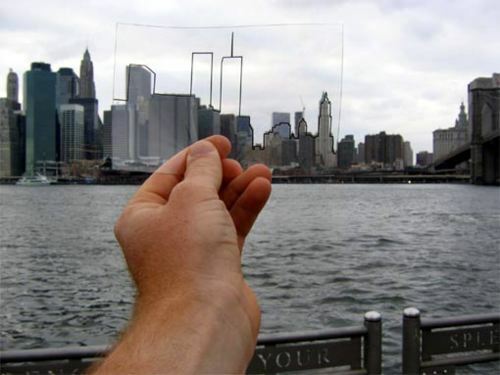 You have many memories. You have left your dead at Tenaru and Wana Draw and Bloody Nose Ridge and Target Hill, Matanikau and Dakeshi. You have fought through dense jungles, mighty swamps, and coral ridges honeycombed with caves. You have endured much- extreme heat, thirst, hunger, ceaseless exposure to wind and rain. 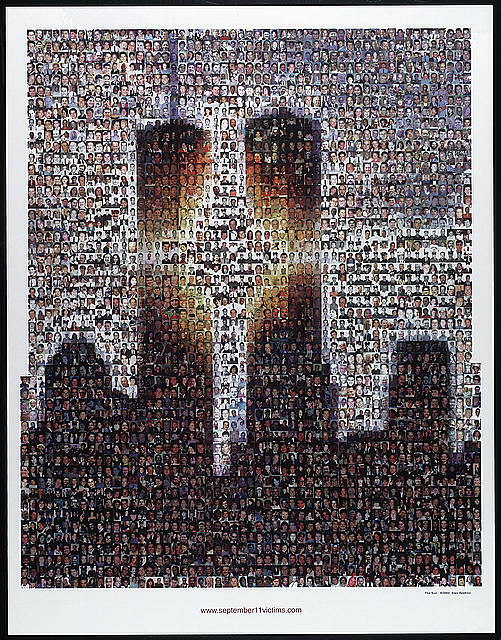 You have borne the pain of long seperation from home and family. Your life has been so Spartan, that ordinary comforts have become as luxuries. And now it is over. The enemy is vanquished, the field is won. And now, to you who have borne the flag of your country and standard of your corps from Lungs Ridge to Shuri Castle, WELL DONE, and may God bless you. 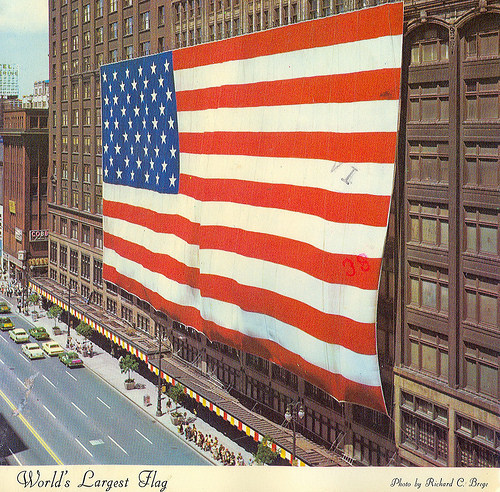 In the United States, Flag Dayis celebrated on June 14. 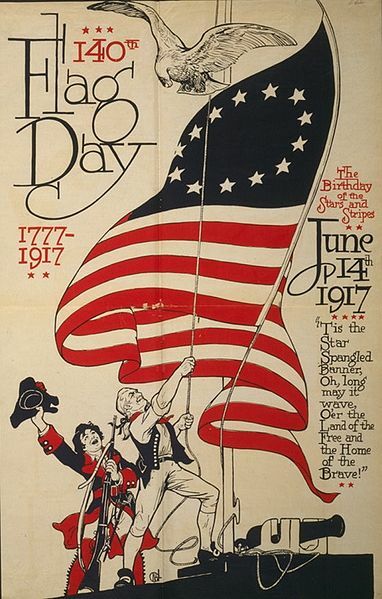 It commemorates the adoption of the flag of the United States, which happened that day by resolution of the Second Continental Congress in 1777. 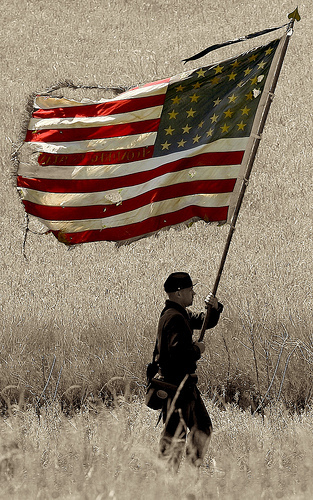 The June 14 date is also when Congress adopted “the American continental army” after reaching a consensus position in The Committee of the Whole. 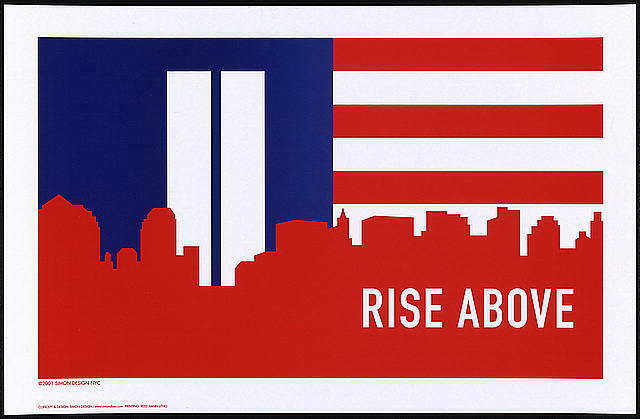 Tags: America, American Flag, Betsy Ross, Flag Day, Old Glory, Patriotic, Stars and Stripes, U.S. The John F. Kennedy inaugural address was 50 years ago to the day – on Jan. 20, 1961. Kennedy took the oath of office and called for a fresh start with a reminder that “civility is not a sign of weakness.” It is an iconic American speech filled with some of the most quoted lines from any Presidential address. The speech was drafted by Kennedy’s speech writer Ted Sorenson, and draws heavily from Lincoln’s Gettysburg address. Historians generally rank it as one of the four best US presidential inaugural speeches of all time. Former New York Times columnist and speechwriter for President Nixon, William Safire, included it in a volume he compiled of the greatest speeches delivered in history, writing that it “set the standard by which presidential inaugurals have been judged in the modern era.” Listen carefully and Enjoy! For over five decades, Samuel Whittemore had served as an officer in the British Army. He relentlessly fought for the crown during King George’s War and the French and Indian War. How he received the honor of state hero of Massachusetts is quite amazing. 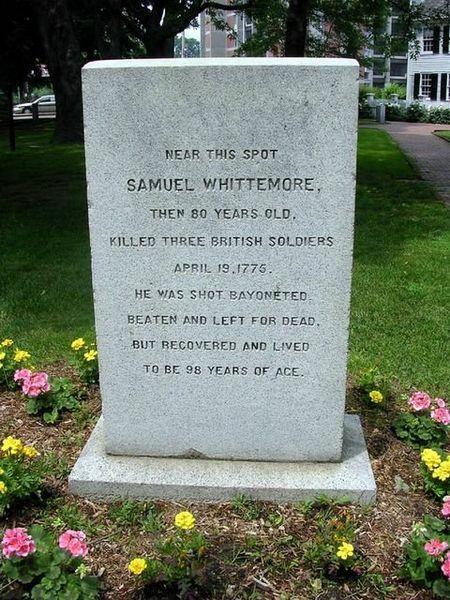 Whittemore was an 80 year old farmer in Menotomy, which is known today as Arlington, when he became the oldest known colonial combatant in the American Revolutionary War. On April 19, 1775, British forces were returning to Boston from the Battles of Lexington and Concord, both are considered the opening engagements of the American Revolutionary War. On their march, they were continually shot at by colonial militiamen. Whittemore was on his farm working the fields when he spotted an approaching British relief brigade. The brigade serving under Earl Percy was sent to assist the retreat. Whittemore quickly loaded his musket and ambushed the British from behind a nearby stone wall, killing one soldier. He then drew his dueling pistols and killed a grenadier and mortally wounded a second. He managed to fire five shots before a British detachment reached his position. Whittemore then attacked with a sword. He was shot in the face, bayoneted thirteen times, and left for dead in a pool of blood. He was found alive, trying to load his musket to fight again. He was taken to Dr. Cotton Tufts of Medford, who perceived no hope for his survival. However, Whittemore lived another 18 years until dying of natural causes at the age of 98. In 2005, Samuel Whittemore was proclaimed as the official state hero of Massachusetts.